I’m two months deep into the adventures of parenthood, and I’ve already begun planning for what will likely be a very nerdy future for my son. (secretly behind his monther’s back, let’s not forget) He’s so nerdy already, the Chrono Trigger ending theme is his favorite lullaby. Star Wars, Super Mario, Indiana Jones, Dragon Ball, and the like seem easy enough to get him into. When he’s about 5-years-old, I plan to plop him down in front of a television set, watch A New Hope, and finally, introduce him to the finer points of life through the NES Classic controller. No need for complicated video games until he gets older, and we’ll worry about the newer Star Wars films once he develops a cynicism towards commercialism. However, there is one tenant of my personal nerdy life that isn’t quite as easy to introduce him to, and that is, of course, J.R.R. Tolkien and the fantasy realm of Middle-earth. The realm of Hobbits, Elves, Rings, and Rangers has a higher barrier of entry than most other popular “franchises” out there, and I struggle to use the f-word word because Lord of the Rings has existed for much longer than our current fanboy-catered entertainment system. As Middle-earth has deep roots buried in classic literature and World War II, as well as the books themselves being complicated tomes of wordy descriptions, it’s tough for a child to really take it all in. I’ve been pouring over this in my mind, and I’ve come to a few thoughts. If there are any dads out there who have had success at this, let me know. 5-years-old is quite young for Tolkien. Not only is Middle-earth a complicated place with a detailed history and endless ramblings on the minor doings of Hobbits’ remote uncles to the ninth degree, it’s also really scary! Goblins, dragons, giant spiders, hooded figures riding black horses, warfare, death, and blood, it’s enough to scare a child to the end of his wits to the point where he’ll never want to come back. I never watched or heard of Tolkien at this age, but The Dark Crystal and The NeverEnding Story traumatized me enough to be terrified of the fantasy genre for many many years. I know from experience not to start so young showing your kids fantasy realms with darker themes. From my personal experience, I first heard of Tolkien and Middle-earth back when I was about in the fourth grade, back when I was about 9-years-old. 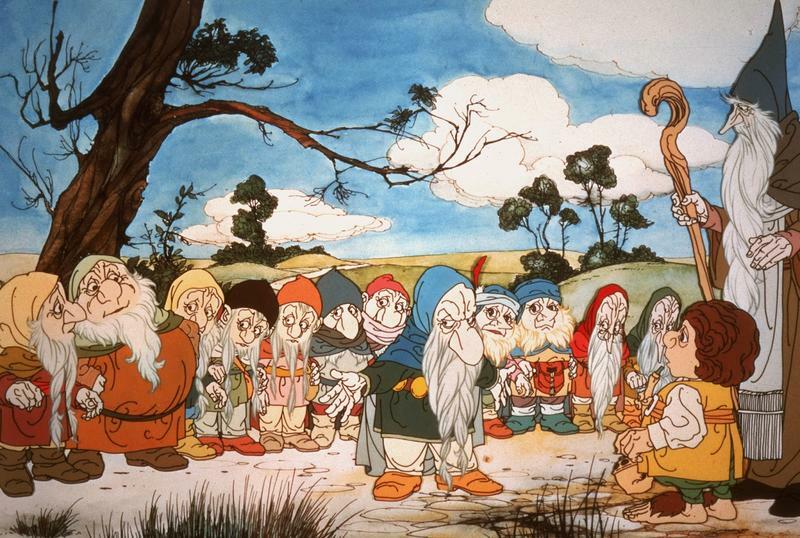 Cartoon Network just started showing feature-length animated movies for the first time, and the very first film they aired was Rankin Bass’ The Hobbit. The following week was The Return of the King. I watched them both with my Dad, and my life changed forever that week. There is no doubt in my mind that Peter Jackson’s Lord of the Rings trilogy will forever be the definitive recreation of Middle-earth. These three films are a little too perfect and a staple of my adolescent years, and unlike The Hobbit trilogy, they are inoffensive enough towards the canonical story that even some purists can find the strength within to put aside their differences and love them. However, I do not believe that young Tolkien fans should be introduced to Middle-earth through the Jackson films. The visuals and direction of these films create images so powerful that I fear they might cripple a child’s ability to create their own image of Middle-earth. Never once will these fans see Gandalf’s weather-beaten face through their own mind’s eye, only the various gazes of Sir Ian McKellen. They’ll never witness their own snow-capped Misty Mountains, never brush through the fields of their own Shire. The Jackson films spell all of that information out a little too perfectly, and the mystery of Middle-earth is somewhat lost in between. Again, I will forever hold the films in high regard, and I still regard them as the standard which Hollywood needs to overcome all these years later. However, they are re-interpretation of a larger body of work, and they should not be treated as the definitive source of Tolkien knowledge. Starting here, I fear it would be difficult for young fans to branch out and appreciate other interpretations of Middle-earth. That appreciation would be superficial at best, believing that only the films matter. Start with The Hobbit, and read to your kids! It’s something of a pastime nowadays to read stories to your children, something which I fear is happening less and less. Middle-earth is somewhat perfect for this kind of bonding with your child since The Hobbit and the popular character Tom Bombadil originally sprang from the stories Tolkien used to tell his children before they slipped off to sleep. Decades prior to Tolkien transforming his fantasy realm it into a setting of all-out warfare, The Hobbit was originally envisioned as a children’s fantasy book, one filled with simpler themes that kids would understand. Tales of heroism, dark creatures, and talking animals. A huge, muscular man could even turn into a bear in this book, and that’s plain awesome! The Hobbit is also my all-time favorite book because it reads so smoothly. It might not tell as grand of a tale as Lord of the Rings, but its pacing outperforms it at every turn since it isn’t bogged down with excessive descriptions or Tolkien’s penchant for jamming his created languages into his books. A young child, maybe age 6 or 7, will understand The Hobbit. Bilbo is a small guy with big, hairy feet. He lives in a hole and becomes friends with a wizard. He crosses mountains, meets a froglike creature, fights spiders, and wages a campaign of wits against a dragon. Nice, clean, and simple, and Tolkien’s descriptions make the action and characters easy enough to understand. So late at night, when your kid is getting into bed, pull out your copy of the book (I still have my Ballentine printings my Dad gave me as a kid), turn the lights down and read to him or her. The Hobbit takes roughly four to six hours to read from beginning to end depending on your reading speed and how dramatic you are with it, so if you spread that out over a week or two, you’ll have a budding Tolkien fan on your hands. As I said before, Jackson’s films will probably survive for quite some time as the definitive Middle-earth for an entire generation, something late blooming Millenials and the following batch of humans can gather around in unison. 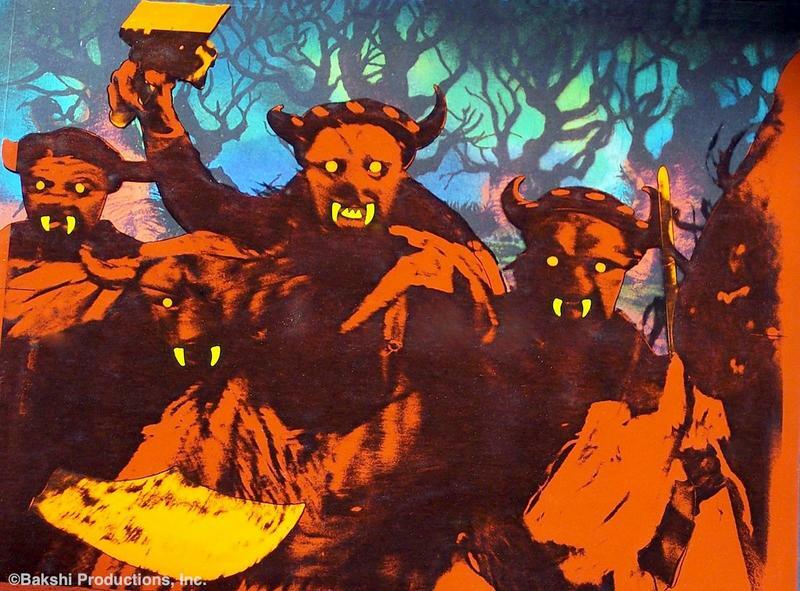 When I was a kid, we had no central rallying point for what Lord of the Rings looked like. Instead, we had multiple interpretations from many artists to aid in filling the gaps. 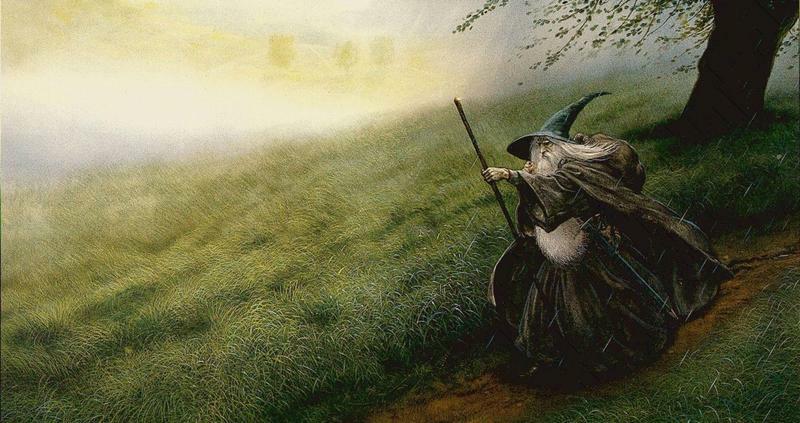 Names like the Hildebrant brothers, John Howe, Alan Lee, and Inger Edelfelt graced the art books my dad would bring home to me, and they provided various and alternative ways to see each of my favorite characters. I like Jackson’s visual style, but the films will always be second place to a series of solid paintings. I also got into the Middle-earth Collectible Card Game for a year or two back in the mid-90s. I never learned to play the game since it is far more complicated than Magic: The Gathering, but the art on those cards was phenomenal. As for video games, Lord of the Rings didn’t really get a crack at the medium until after the Jackson films came out. At best, you might be able to dig out some early DOS games and text adventures, but depending on how deep your kid is into modern games, that could prove to be tough. The one I played obsessively as a kid was called Lord of the Rings Vol 1 by Interplay. This game is a brutal, cutthroat RPG that will punish even the most seasoned of video game veterans. Somehow, I always managed to get to the end with the entire fellowship still intact, and that’s a challenge I would issue to any professional streamer out there. Kill the Witch King of Angmar with the fellowship still intact. I’ve done it, and I was probably 13-years-old. Finally, my most read book in the Tolkien realm was neither The Hobbit nor The Lord of the Rings, but rather, an official glossary called The Complete Guide to Middle-earth written by Robert Foster. I carried around with me EVERYWHERE in my middle school days, and I had it memorized from cover to cover at one point. This easy-to-digest encyclopedia loaded me with information on Middle-earth, and I found Lord of the Rings that much easier to digest equipped with that knowledge. If you do decide to stick to the films as a way to introduce your kids to Middle-earth, like I was, then I would suggest the two Rankin Bass films first. The Hobbit is often regarded as a classic, as it should be, and its beautiful animation should be an attractive way to keep a kid’s attention for an hour. No comparisons, this is the best Hobbit film out there, perfectly capturing the spirit of book in every possible way. Beorn sadly was left on the cutting floor from this version, but I prefer to keep that a surprise for when your kid opens the book for the first time. This film keeps just enough secrets, relying more on restraint than on excess like the Jackson films. As a whole, the Internet seems to harbor a sort of retroactive hatred towards Rankin Bass’ Return of the King though. These ill-feelings seemed to erupt after the Jackson films came around, and young fans who didn’t grow up with the cartoon aimed unnecessary comparisons between the two films and turned it into something of a joke. 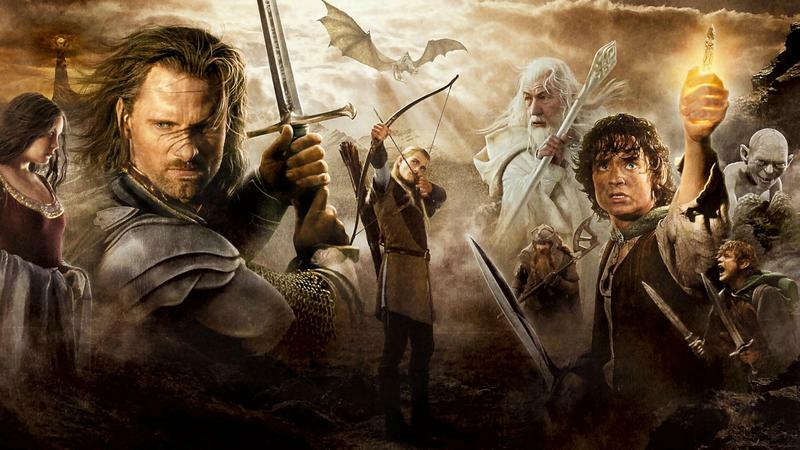 No, unlike The Hobbit, there is no room for this version of Return of the King to be considered a superior film. However, this does not negate its value or reason for existing, and this animated Return of the King still serves its purpose as a perfectly abridged version of the story. Again, its music and animation should be enough to reach your child’s mind and pull them into the closing hours of Frodo’s desperate quest. And, at long last, as for the Bakshi film, I love it. Only, I watched it when I was a bit older, and I suggest that your kids do the same. Thankfully, there remains a sect of the fandom who still considers this a solid version of the story, but the rotoscoping animation gives the warfare scenes an extra bit of impact. When swords slice and bones get broken in this film, you genuinely feel it in your own body. Even scenes like the Prancing Pony in Bree are just horrifying to look at. Again, I like this version a lot, but it’s not quite for younger audiences. Stick to the Rankin Bass films to get their feet wet in Tolkien films. While my love of Middle-earth was born through the Rankin Bass films, it didn’t start to mature until I dove into the actual books. The Hobbit was an easy read when I was nine and I breezed through it, but Lord of the Rings proved a bit more impenetrable. I managed but with barely enough memories intact to call it satisfying. However, I’ve always been more of an audio person and a much slower reader than my peers. Realizing this, my dad further fueled my love for Middle-earth by bringing home a box set of 13 cassettes that contained the BBC’s 1981 audio play presentation of Lord of the Rings. Without question, this is the finest adaptation of Lord of the Rings ever created. Whether you are looking to get a young mind involved with the story or simply lose yourself in Frodo’s quest as an adult once again. The voice acting, the music, the poignant editing and abridging job, everything about this recreation is perfect. The geniuses behind this production proved profound enough to create Middle-earth before your very eyes without the need of a television screen. Turn out the lights, flip this on, let your imagination run wild, and boom, you’re in Middle-earth. I grew up at a time when kids didn’t have TVs, smartphones, and computers in their rooms, so I would drop this in my cassette player and let it roll all night. Eventually, I would finish after about two or three weeks… and then I would just start all over again. I’ve listened to these audio books more times than I can recall, and I can practically recite each line. Aragorn and Gandalf’s powerful voices are second to none, and Frodo is famously voiced by Ian Holm, the actor who played Bilbo in the Jackson films. As for The Hobbit, there are plenty of audio books to go around. I tried the 1968 BBC audio series, but I was never a fan of Gandalf’s Looney Tune voice. Instead, my parents landed me a copy of the 1980’s production from The Mind’s Eye, which has become my staple version. This company also did a version of Lord of the Rings in 1979, which I owned, and while it’s not nearly as high quality as the BBC version, it is well known as the only adaptation to include Frodo’s run-in with Tom Bombadil. If only Frodo wasn’t deadpan and Sam didn’t sound like a choking seagull. Finally, the Peter Jackson films are a must for any Lord of the Rings fan, but as I’ve stressed, I feel it’s important for a young fan to already have their own established vision of Middle-earth before watching these. It’s far more fun and stimulating to contrast and compare your own vision than it is to let Jackson’s creation dictate how you see Tolkien’s world. When these movies first took the world by storm, I was 16-years-old, and I also had a chip in my hat among my friends and family for knowing what to expect each step of the way. Jackson kept me in suspense wondering how he would differ, but all in all, I can only say that the films strengthened what was already there. Many friends and family who watched the films and were introduced to Middle-earth through these movies moved on to other pastures. Again, this might not be the case for everyone, but I feel that having an appreciation for Tolkien before jumping into these movies is somewhat vital to get the full experience. They are, after all, an adaptation of a larger body of work. If you want an age, each film is rated PG-13, so we’ll leave it at that. Introduce your kids to this in their early teens after they have blazed through the story on their own once or twice. Because of that, it is more important than ever to maintain that Lord of the Rings has existed well beyond our modern Hollywood system, and it will most likely outlive it as well. And while it is fine to approach the films or the new Amazon series as you see fit, exposure various forms of Middle-earth is necessary to make sure that it doesn’t lose legacy or meaning along the way. Take the time and ensure that your kids are able to grasp how old these stories are, how they have served generations of fans, and how they can be viewed in a variety of ways. Lord of the Rings has endured for far longer than today’s standards have, and it will continue to do so so long as there is an influx of fans. Don’t allow them to fall into conformity. There is nearly a century of content for them to embrace, and limiting themselves to a single outlet brings no good.